Discover Not Just How to Relieve Shoulder Pain & Tightness ...But Also How to Prevent it from Recurring in the Future! There are things you can do to get rid of the discomfort and get on with your life. In fact, I helped revolutionize the treatment of tight or sore shoulders back in 2007 and I’m confident that I can help you feel better now. I’m going to tell you all about my natural, 100% safe shoulder exercise program in just a minute, but first let’s look at why the shoulders can be such a problem for many men and women. 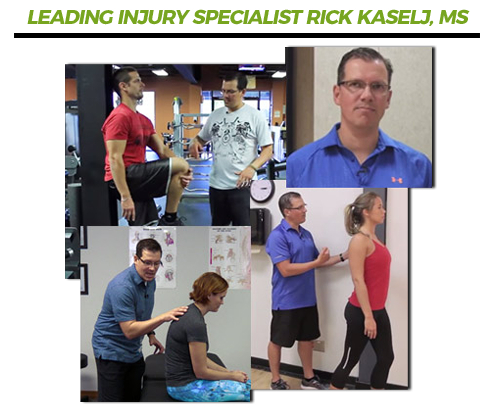 Hello, my name is Rick Kaselj, MS, and creating programs that help people heal injuries and eliminate pain is what I do. With the advent of the Internet, I saw a terrific opportunity to offer and deliver my programs to many more people, so they too could finally get relief from pain, heal their injuries, and get back to the active lives they enjoy. The thing about the shoulder is that it is made up of numerous structures, which means there are numerous opportunities for something to go wrong. Full range of motion in the shoulder requires joints and tendons and muscles all working together. When everything is functioning properly, we are able to reach up to get something off a high shelf or throw a football or lift a weight or scratch our back with relative ease. However, if something goes wrong with one of the many structures inside the shoulder – through wear and tear or a specific injury – we may experience instability, impingement or aches and pains. And nobody wants to live their life in pain, whether it is temporary, recurring or especially if it is constant. That’s why I have developed the Scapular Stabilization Exercise Program. This program helps clients with shoulder injuries and pain. It improves the range of motion of their arm, decreases pain in their arm and increases stability in the shoulder. Lack of stability in the shoulder can lead to dangerous circumstances where you may drop something that could injure you or someone else. Pain in the shoulder can prevent you from exercising or even sleeping well. Those Old Shoulder Strengthening Exercises Don’t Work! All the way back in 2003, I was working at a large rehabilitation center where I was asked to treat a lot of patients with shoulder injuries. At the time, I was just starting out in my career and was familiar with all the traditional treatment programs so I used the prescribed treatment of the time – shoulder strengthening exercises. Well, guess what? They didn’t work! This forced me to question what I had learned … and I began to research the topic extensively. While most experts still recommended strength training exercises for shoulder problems, I did come across research that recommended scapular stabilization exercises instead. The scapular muscles protect the rotator cuff and stabilize the shoulder during overhead movements. I began using these exercises instead of the strength training ones with my clients in the clinic and I was amazed with the results. The next year, a friend who was in physical therapy school heard about the exercises I was doing and the results I was getting and that led to me being invited to speak about scapular stabilization at a conference at McMasters University. The conference was attended by physical therapy students from across Canada and I have to say, most appeared blown away by what I had to show them. That experience led me to fine-tune my approach and create a complete system that I began teaching to other fitness professionals in 2007. But here’s the thing – they work! They really work. We have had the program for 1 week now and have given it to all of our shoulder and scapular stabilization clients. The cutting edge exercises in the program really help our clients by giving them a take home program that is easy to understand and not overwhelming in the number of exercises. The videos are great to show to clients if they do not understand the exercises. Our staff loves the resources and it has given them a better understanding of what is needed to increase stability in the scapular area. This is an outstanding resource of information for beginners all the way up to highly experienced practitioners like myself who have 10 years in the industry. I learned a number of new techniques and was reintroduced to a couple of techniques as well. Rick has put together a great system for scapular stabilization. He clearly addresses the important muscle responsible for stabilizing the scapulae, has great drills on activating them and exercises that address each. He has also done a great job of delivering the material in a quick and easy fashion. I found the program easy to follow and easy to integrate into my client’s exercise programs. In fact, the wrong strength exercises can lead to more damage – and if the joint eventually fails, that can prevent you from doing everyday tasks and activities you love. For example, you may have to stop lifting weights, typing could be painful and sleeping through the night comfortably could become a thing of the past. In the Scapular Stabilization Exercise Program, you will focus on making the shoulder joint more stable and eliminating pains so that you can strengthen the joint in the future. You must have stability of the joint or you cannot build strength! This program builds stability to prevent your shoulder from getting injured or re-injured in the future. At last, there is a comprehensive yet simple to follow program that contains the exercises you need to know to naturally eliminate your shoulder pain and tightness. Plus, as I mentioned before, this program contains an assessment guide so that you can determine the severity of your injury and the proper course of treatment. The program also comes with a Quick-Start Guide that will show you the fastest way to get started so that you can relieve the symptoms you are feeling as quickly as possible! You get a video, manual and fill-in sheet to help you assess your current condition. The video and manual walk you through how to assess the current condition of your shoulder. This is important to do because different people experience different levels of pain and stiffness. You’ll record your assessments on the fill-in sheet and based on your findings, you’ll know exactly where to start in the program. This assessment process is critical to ensuring you get the best results possible from the program and you avoid injury. The Scapular Stabilization Exercise Program is filled with a lot of beneficial information but I want you to be able to get started and experience results as fast as possible so I created this guide which distills all the content down to the bare essentials you need to know to get started fast. I’ve broken this program into three stages. The three stages allow you to self-direct your progress so you get the fastest possible recovery. The stages progress from very easy (Stage 1) to more challenging (Stage 3). 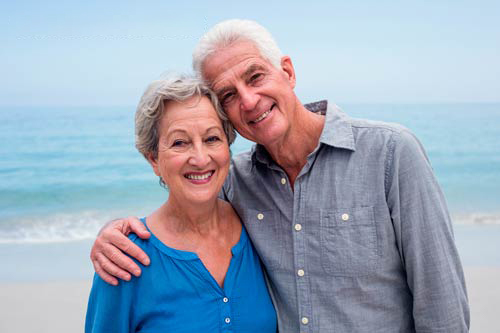 This three-stage structure ensures that any person can complete this program and relieve pain and improve mobility – even those who have severe pain or who have not exercised a day in their life! Once you get into the program and start learning the exercises, you may want a faster, more convenient way to access the exercises, rather than having to fast-forward through the videos, and leaf through the larger manuals every time. That’s exactly what this Quick Reference Guide is for! Very informative! The exercises are described very well and I really like the client sheet with the exercises on one page. I like that it can be done in about 10 minutes and it is only 5 reps per exercise. 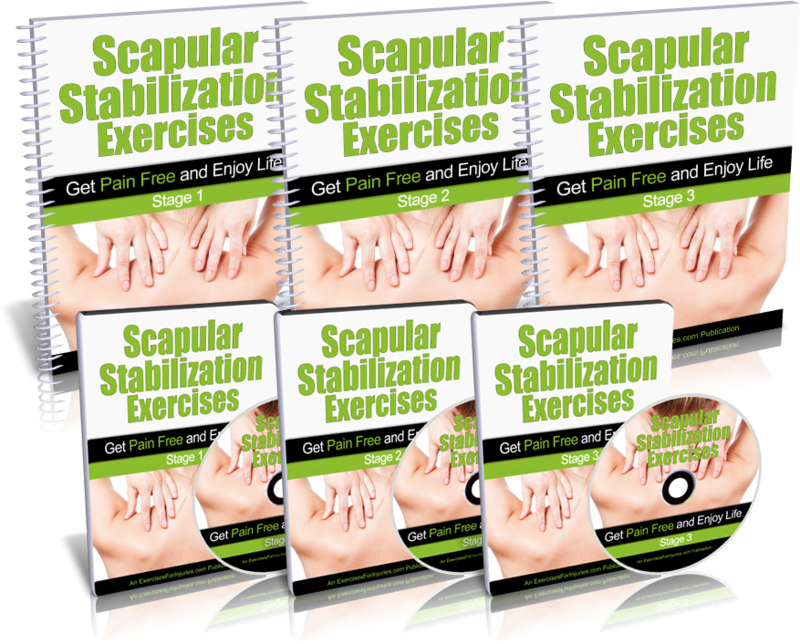 I found the Scapular Stabilization Exercise Program a very helpful program to exercise the scapular muscles. I would describe the Scapular Stabilization Exercise program as very comprehensive, foundational and exceptionally accessible for clients, with a wonderful explanation for the “why” behind all exercises / approaches. Exceptionally well laid out, with a great background review of the scapular, shoulder movement, and involved muscles to provide a holistic approach. The exercises are very well described, LOVE the “errors” section to assist with improving accuracy of each exercise. Love the handouts and the E-book. Overall, the best thing is the ease of lay out/presentation of material, so all is easy to understand and implement immediately. In reviewing your scapular stabilization exercise program, I have to say that I really like how complete and comprehensive it is. Not only does it deal with the reasons why these exercises are needed, but it teaches so much more such as the main contributors to shoulder dysfunction, pain and injuries that most people do not understand, the muscles responsible for scapular stabilization and their functions as well. The program also includes common mistakes when performing the exercises for easy corrections and also progressions for the exercises. The illustrations of the muscles involved and the exercises really help make this program simple to follow yet effective. The exercises are a must not only for anyone suffering from shoulder dysfunction and chronic pain but for pre-habilitation purposes also. Thanks for putting together this much needed program in this day and age of shoulder problems that so many individuals need a solution for. I found the scapular stabilization exercise program very organized, full of helpful information and the explanations were simple and to point. The handouts have been very useful for my clients, as well. Awesome job Rick! I just got the Scapular Stabilization Exercise Program. I have enjoyed all the videos, content and exercises that comes with the scapular stabilization exercise program. All of the material is great and I am looking forward to getting my clients doing scapular stabilization exercises and improving their shoulder problems. Get The Scapular Stabilization Exercise Program Today! 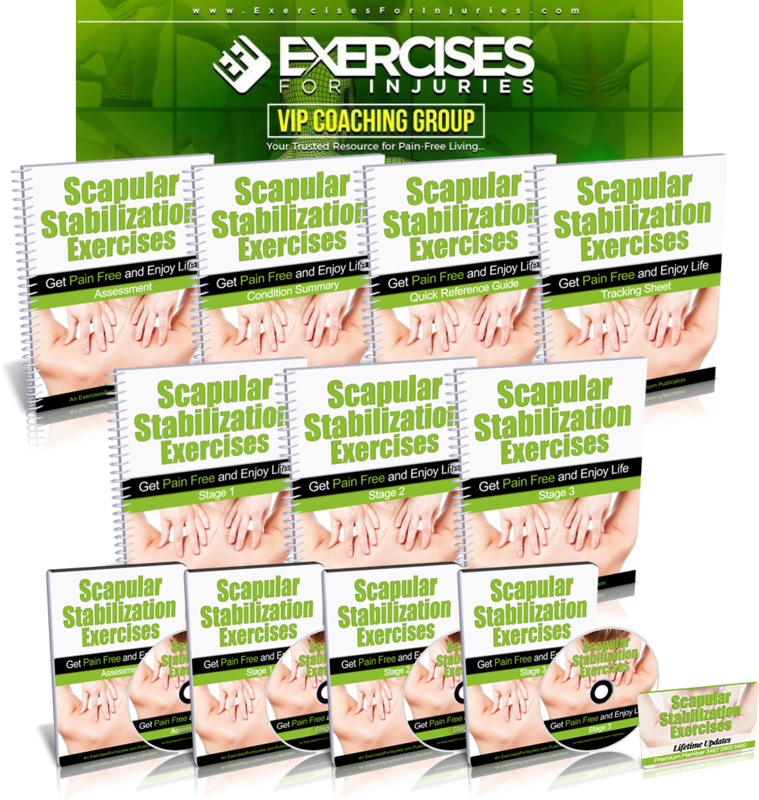 The Scapular Stabilization Exercise Program is filled with the expert tips and exercises that will allow you to eliminate your discomfort and pain as fast as possible. 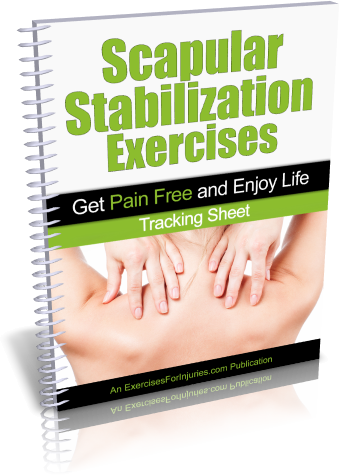 Save yourself money and frustration – get the Scapular Stabilization Exercise Program today and regain pain-free mobility! 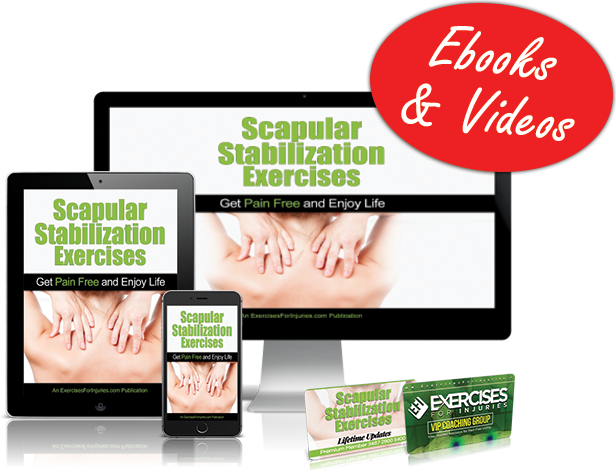 Get INSTANT ONLINE ACCESS to the Scapular Stabilization Exercises. You get lifetime access to everything 24/7/365, on any computer or mobile device. Let’s see – spend hundreds, possibly even thousands of dollars on drugs and surgery or get similar results in similar time for just $37? That’s the decision you have today. Remember, this program is a safe, natural solution with no bad side effects. Heal your shoulders safely and naturally with the very best exercises that have ever been created. Get The Scapular Stabilization Exercise Program today! For just $37, you could save hundreds and possibly thousands in medical costs and you’ll avoid the bad effects associated with both over-the-counter and prescription medications. I am so sure that you will love The Scapular Stabilization Exercise Program that I am offering an unconditional 100% money-back guarantee. That’s EIGHT FULL WEEKS to put this program to the test! I don’t think I can be any fairer than that. Eliminate your shoulder pain and/or tightness or get your purchase price back! 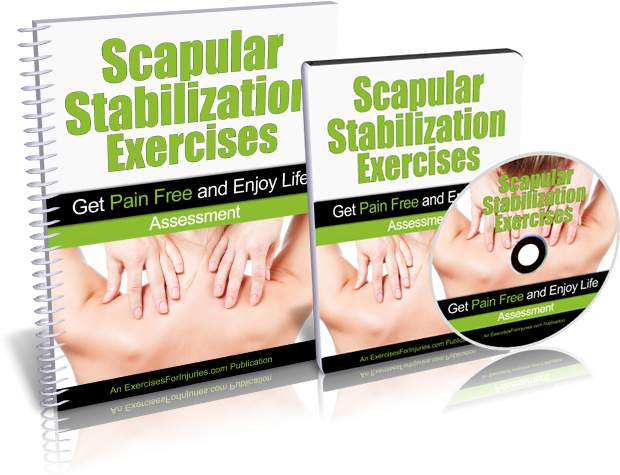 Get the Scapular Stabilization Exercise Program Today & Get on the Fast Track to Being Pain Free! It’s time to stop wasting time and money treating the symptoms and not the root cause of your condition. 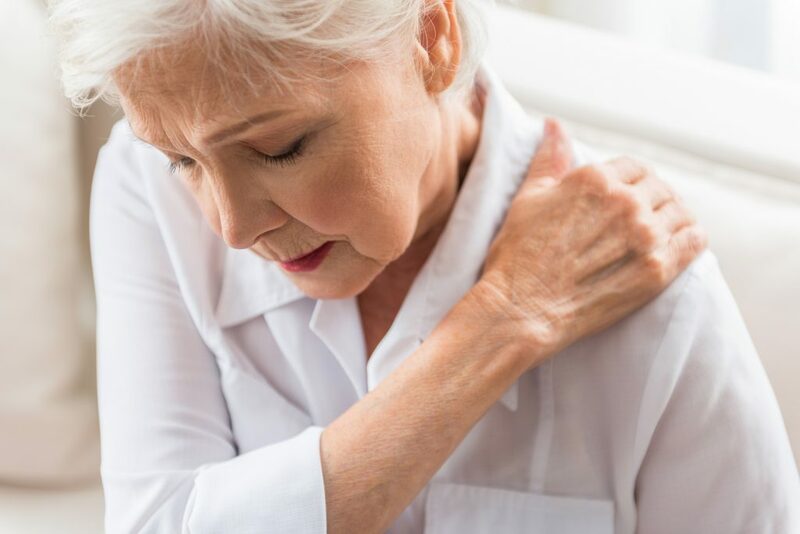 When you have shoulder pain and/or instability, it can seriously disrupt your life and make even the simplest things – like pushing on the armrest of a chair to stand up – painful. A painful shoulder can also affect your posture, make it difficult to reach overhead and create neck pain and tightness as well. If you play sports, like golf or tennis, your performance could suffer. If you like to lift weights, you may find it very difficult – and very painful – to do so. Right now, there are many “weekend warriors” and gym junkies who are doing strength exercises and not seeing any improvement in their shoulders. These people are frustrated and basically wasting their hard earned money. Don’t be one of them. Get the Scapular Stabilization Exercise Program and get rid of shoulder pain for good.